How can Gamestore increase sales in retail? Scratch cards are often a personal indulgence, for some of us we buy them to take home and scratch in hope we'll not have to go to work the following day, for other's we immediately take the plunge ready to walk straight back to the counter to collect our winnings. But it's Christmas, the season of giving... so we wanted to position scratch cards as the ultimate Christmas gift, where a mere £2 could turn into £250,000...and who doesn't want £250,000 for Christmas? 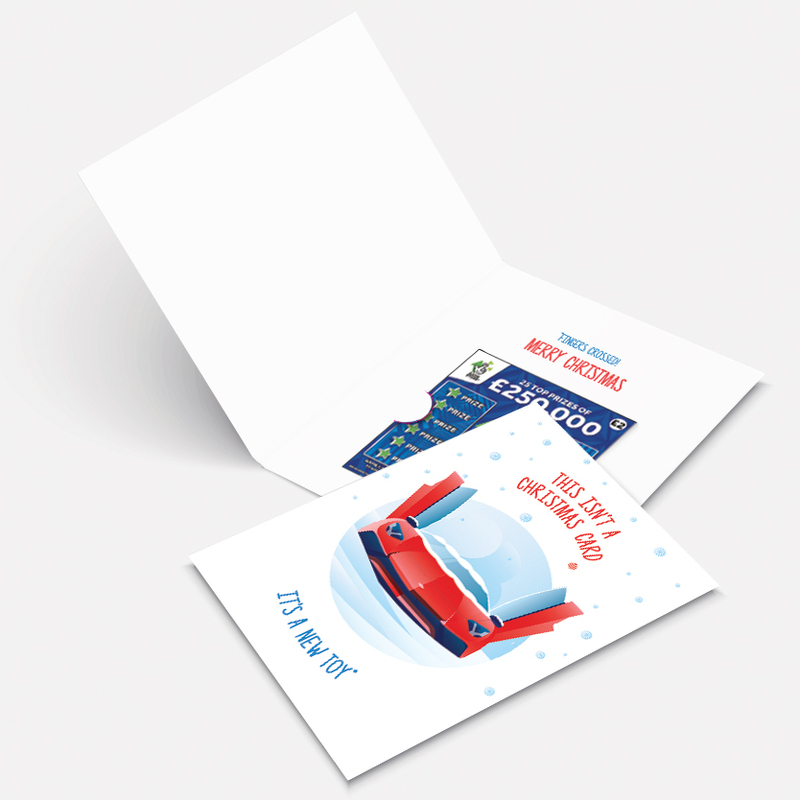 We designed greetings cards to be given away with scratch card purchases. All themed around the classic 'what I'd buy if I won' conversation examples. From a sports car to a house, a yacht to a holiday. So, if you're looking for a last minute gift, or the perfect stocking filler...head down to your local newsagent or supermarket.